JOHN SMEDLEY VILLAGE MENS RETRO SIXTIES MOD BLOCK STRIPE PANEL ROLL NECK JUMPER (Black) - Easy Fit. The John Smedley Village knitted roll neck jumper is Made in Great Britain from luxurious fine gauge wool. Sixties Mod style with neat ribbed roll neck for Vintage Beatnik flair. 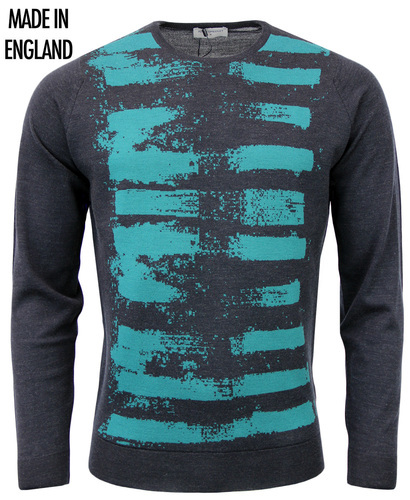 Brilliant Retro block stripe panels add colour and texture to this essential Roll Neck Sweater. 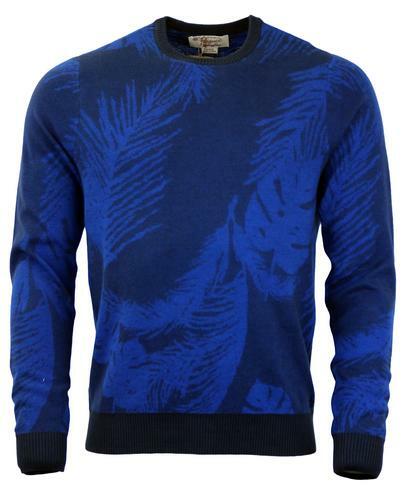 The Village John Smedley Mens Roll Neck Jumper is guaranteed to be a striking addition to your Mod Clothing collection. 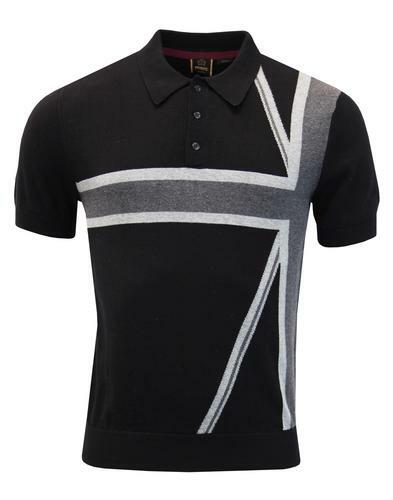 Village Mens black knitted Mod Roll Neck Jumper with contrast Retro block stripes to chest in off white, charcoal and dark grey. A subtle colour palette that is perfect for that Autumnal Vintage look. Sixties Mod ribbed roll neck collar, classic ribbed hem and cuffs. Village by John Smedley is ideal for both smart and casual outfits. 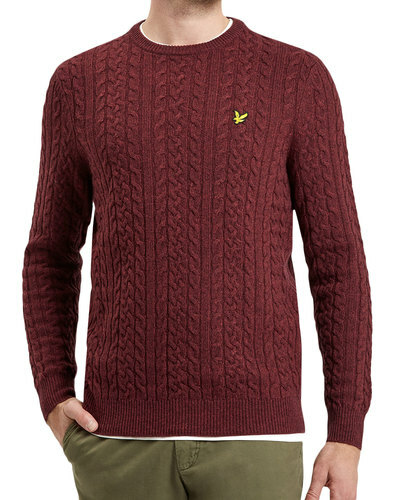 Made from finest John Smedley wool. Easy fit, made in Great Britain. 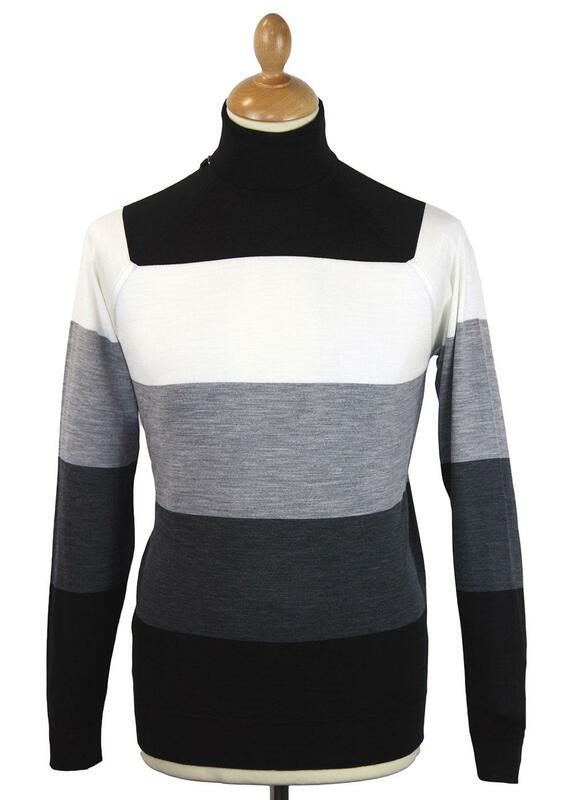 SKU: Village John Smedley Block Stripe Roll Neck Jumper. John Smedley Village Mens Retro Sixties Mod Block Stripe Roll Neck Jumper (Black). 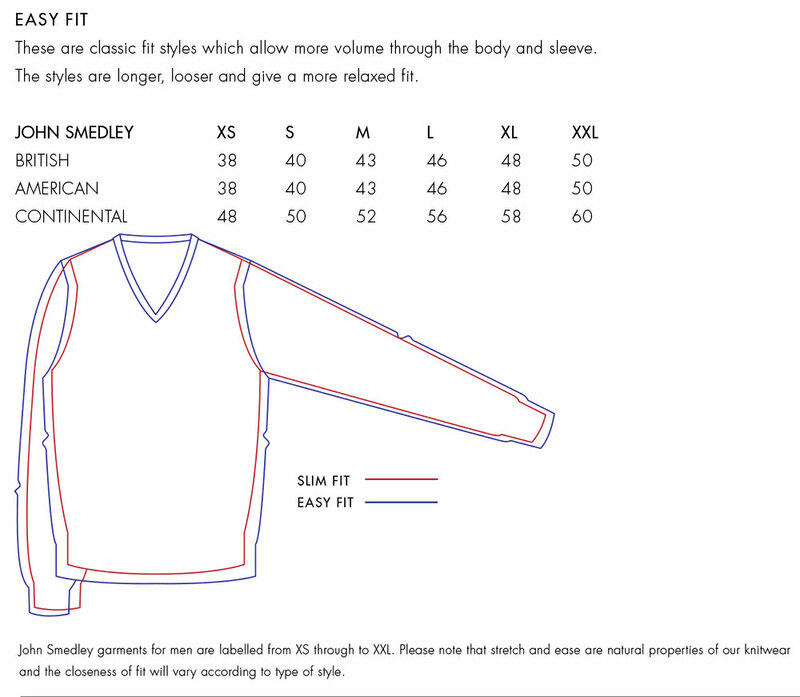 A John Smedley Easy Fit garment. These are classic fit styles that allow more volume through the body and sleeves. The styles are longer, looser and give a more relaxed fit.